How do advisors who move to independence overcome their concerns about making the leap? Many advisors considering a move to independence don’t have access to peers who actually made the leap and will candidly describe their journey and experiences. If that’s the case, you’re often left wondering if all you hear or read about is “the real deal”— or just more hype and headline than reality. In this episode, Mindy interviews “the real deal”—an advisor who left the safety of a traditional firm for the greater freedom and flexibility offered by the Independent Broker Dealer model. Tim Adams from The Princeton Group in Yardley, PA joins Mindy to discuss his firsthand experiences in making the move to independence. You’ll find that his journey is much like many others: The former Smith Barney advisor found himself growing increasingly frustrated with his firm and knew he could do better for his clients and his career. After careful exploration, he along with his wife and partner, Donna Sabb, made the leap to Wells Fargo FiNet—a move far less common in 2009 than it is today. Tim allowed his mantra, “Trust in yourself” to guide his successful transition and today they continue to grow through both organic and inorganic growth. Will my clients move with me if I go independent? Do I need a brand name firm? How difficult and risky is the move to independence—really? Tim’s excitement is palpable as he addresses these questions and more. It’s a great opportunity to fill in some knowledge gaps in your own exploration of the independent space by learning from someone who actually made the move. 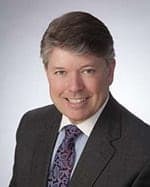 Located in Yardley, PA, Tim Adams has more than 20 years of experience in the financial services industry and is a trusted advisor whom clients consult with on a range of financial and life decisions. Tim started his career as a counselor and mediator in social work and later joined Smith Barney, a predecessor firm of Merrill Lynch, as a Financial Advisor. By his nature as an empathetic listener and problem-solver, he is a versatile counselor – whether addressing clients’ individual or family’s personal financial needs, and those of a family foundation or endowment; or crafting business policy for a small business; or providing insight on the particulars of ERISA or Taft-Hartley retirement plans. Tim is a Certified Investment Management Analyst®, a designation earned following a course of study at the Wharton School of Business and conferred by the Investment Management Consultants Association, where Tim is a member. Tim founded The Princeton Group in Yardley, PA, in 2009 along with his wife, Donna Sabb, after graduating from Rutgers University with a BA degree.